Tom joined Lothbury’s Chester office in 2016 after studying Geography for three years at the University of Exeter. Since then, Tom has worked closely with both our insurance panel and commercial clients to build and maintain our strong relationships. This knowledge and understanding of the needs of both parties has helped him to tailor insurance portfolio’s around the client to minimise any risk exposure. Tom acquires more business through research and analysis of industry trends to create new business relationships with potential clients. Tom also prepares financial reports and forecasts for the Members of the Board. 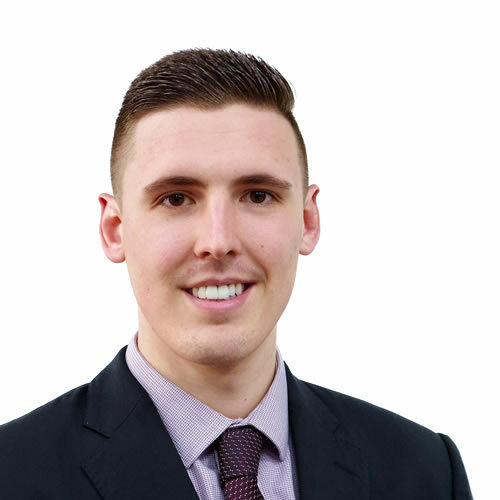 Having already achieved Cert CII status with the chartered insurance institute, Tom is now looking to go on to complete the Dip CII and ACII qualifications to further his knowledge.